HIGHTECHHOLIC: Vivaldi, the Linux tablet, in sales soon.. This tablet, first had the name Spark, but in the last moments was renamed to Vivaldi, and instead of the original plan to have 512 MB working memory, the tablet will have 1GB. "After another long conversation with the manufacturing partner and negotiating the details, it seems that next week we'll sign orders for purchases, and soon you can expect the first deliveries of Vivaldi", wrote KDE programmer Aaron Seigo, last Thursday. 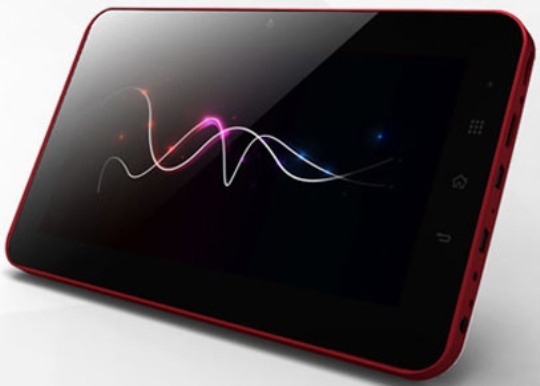 Vivaldi is a tablet that uses operating system Mer Core, which is based Linux, and which derived from the system MeeGo. It possesses KDE interface called KDE Plasma Active. The demand is overwhelming, so the first quantity is already sold out. Vivaldi will be sold under the brand Make-Play-Live and will cost 200 euros. Vivaldi has a screen of 7 inches, is sensitive to multiple simultaneous touches and has a resolution of 800 x 480, ARM Cortex A9 central processor at 1 GHz and Mali 400 graphics processor, and working (DDR2) memory of 1GB. Internal memory capacity is 4 GB, and the front camera resolution is 1.3 megapixels. There are even two USB ports and space for MicroSD card, audio connector of 3.5 mm, 4-dimensional accelerometer Gsensor, 802 11 b / g Wi-Fi and HDMI video output resolution of 1080p. The device is heavy 355 grams. Network store contents of this tablet PC will offer free and open software. I think with this price and this specifications it will be total success. The design is neat, also. I'm seriously thinking of buying one.